The 24-month Imperial College Global Online MBA begins in January. In the first year, students will progress through the core curriculum, with examinations between each module; the second year is dedicated to the elective coursework and independent/group projects. Each core and elective course lasts 10 weeks, and requires approximately 15 hours of study per week. Before entry into the program, students must complete the pre-study courses, which will prepare them for the content and pacing of the curriculum. The Imperial College Global Online MBA begins with the core courses, of which there are eight, and which are optimized for online learning. In the second year, students begin with their elective coursework: they must choose five courses from the portfolio of 14 online-optimized courses. At the end of the second year students may choose to take part in a final project as one of their elective options, which will provide students an opportunity to put their theoretical learning into practice. They also have the opportunity to take part in a Global Experience Week, where they will go to another country for a week and visit different businesses operating in that part of the world. All students will take part in The Capstone Business Game, which takes place at the end of the program and which involves students coming to campus for a week of lectures, as well as working in groups in a high-tech business simulation game experience that allows students the chance to apply their new skills and knowledge in a hands-on scenario. The Imperial College Global Online MBA attracts a very diverse student body. Hailing from all around the world, the students represent 38 different nationalities. Students in the most recent class have an average age of 35 and 11 years of work experience. Twenty-seven percent of the students are female. The average starting salary of graduates from the Global Online MBA program at Imperial is $123,000 USD. The fees for the Global Online MBA (September 2018 and January 2019 entry) are £35,600. These fees are the same for both UK and international students. 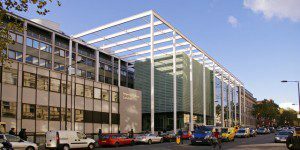 The Imperial College Business School offers Imperial Women’s Scholarships for multiple MBA programs, including the Global Online MBA. A total award of up to £10,000 will be gifted to qualified applicants at the beginning of the academic year. Various other scholarships are also available. To enter into the Imperial College Global MBA program, applicants must have five years of relevant work experience, at least a Lower Second Class Honors degree (or international equivalent, or professional qualification), and any applicable English language test results. In addition to the standard official transcripts, CV, two references (at least one professional), a personal essay, an essay specifically covering career plans and the online application and fee of £100, applicants may also choose to submit a three-minute video pitch, in which they should share anything else that their application might not have contained.